Thu., 4 Jul. - Tue., 9 Jul. Kingsford Smith Intl. - Hobart Intl. Sun., 30 Jun. - Fri., 5 Jul. Sun., 16 Jun. - Fri., 21 Jun. Sun., 26 May - Sat., 1 Jun. 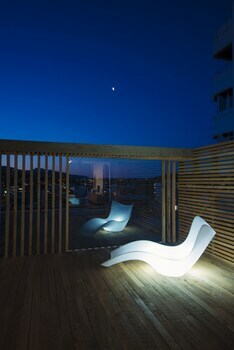 As the capital of Tasmania, the city of Hobart has become a low-key and luxurious destination. Not too long ago, though, this harbour city was a scrappy maritime haunt where early discovery expeditions first took shape. Today, Hobart holidays are full of that same adventurous energy, from history tours to nature walks. 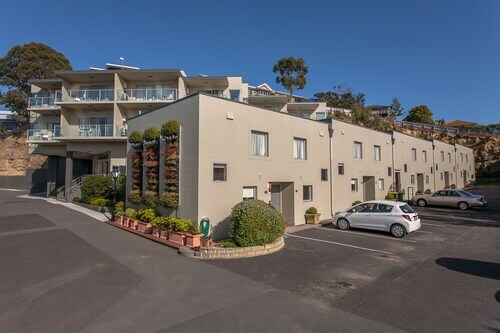 Located on the shore of the River Derwent, Hobart is the perfect place to soak up the sun, fun and seriously gorgeous views—and we’re not just talking about the locals you’ll meet at the beach…but we are. 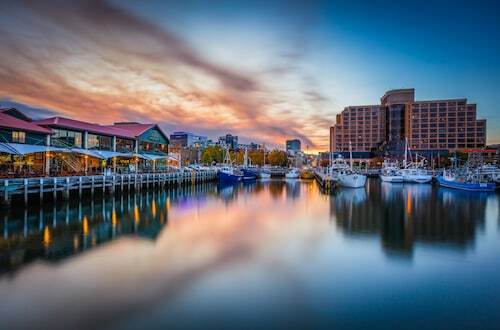 Get the scoop on some smashing Hobart package deals right here and set sail for the island life—or, you know, hop on a plane! 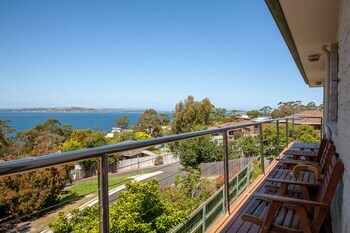 Start your Hobart holiday right outside the city. 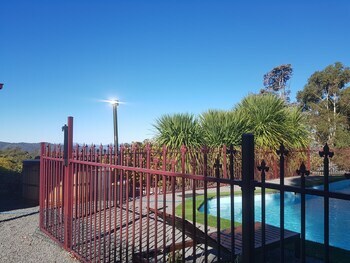 Just 20 km to the west, Mount Wellington is the perfect place to get the lay of the land. Just hop behind the wheel of a Hobart car hire deal from Wotif and enjoy the scenic route! Not feeling the call of the wild? Get your daily dose of natural beauty at the Royal Tasmanian Botanical Gardens, just west of the Tasman Highway Bridge. Ready to dive in…to the local history? 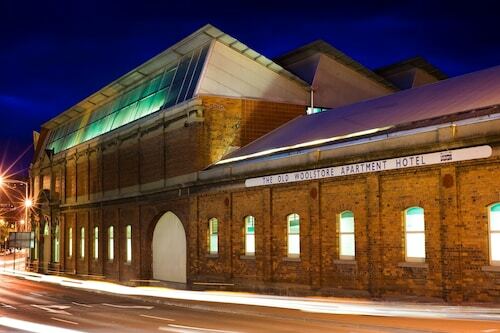 South of the bridge, check out The Tench, a museum and historical experience built around the Old Hobart Gaol. During its early days, “Hobart Town” was mainly a penal colony, but The Tench eventually became a meeting place for the Supreme Court—this city sure loves to push the envelope. You’ll find another example of Hobart’s ever-onward attitude at the Mawson's Hut Replica Museum. In 1912, Douglas Mawson led an Antarctic expedition from the new nation of Australia, and you can discover what life was like for his crew right in the city centre. The next stop on your holiday in Hobart has got to be Salamanca Market. This open-air shopping destination is the place to fill up on local art, street treats and some excellent people-watching. Located on the northern edge of Battery Point, Salamanca Market is a great introduction to one of Hobart’s hottest neighbourhoods. While you’re in Battery Point, stop for some seaside fine dining with a fantastic view. It’s easy to find good eats all over town, though, and you’ll never be too far from the main foodie thoroughfares, Elizabeth and Liverpool Streets. The local cuisine is loaded with fancy flavours, including saffron, black truffles and fresh meats and seafood. Yum! 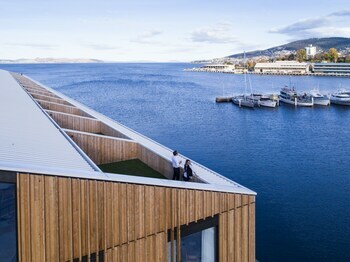 When the sun calls it a night, the people of Hobart say, “Nah!” From hotel bars to waterfront hideaways, the drink scene in Hobart is a mix of resort town and fishing village. Join a pub crawl with new mates, sip to the sounds of the River Derwent or kick up your heels at a dance club. We know you’ll have fun in Hobart! 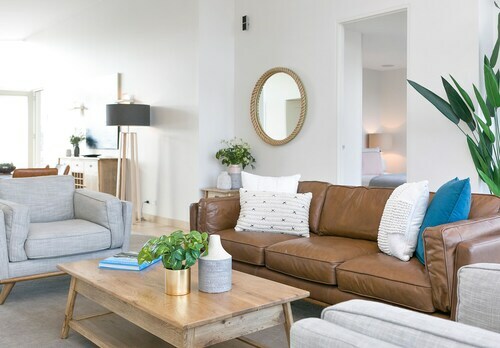 Book awesome Hobart packages right here with Wotif and mix and match your way to savings with airfares and accommodation that can’t be beat. Ready? Ride the waves to Tasmania! Majestic columns of rock rise to the peak of this often snow-capped mountain, providing a playground for nature lovers, and a stunning backdrop for Hobart. Hobart’s remarkable Museum of Old and New Art has a surprising mix of thought-provoking installation art, modern paintings, sculptures and ancient artefacts. Step back into the past at the oldest brewery in Australia, a striking Gothic building near Hobart, and try some of the best beers in the country. Step back into Tasmania’s past as a penal colony and learn about the lives of convicts who were sent to one of the harshest settlements in the British Empire. 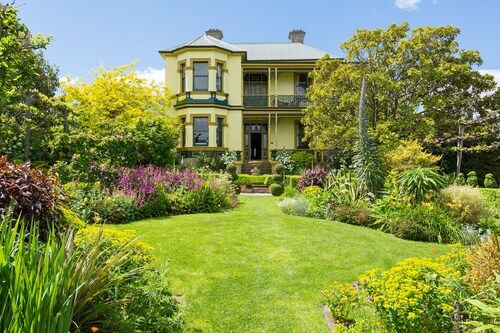 Immerse yourself in the state’s history and art at these 19th-century waterfront buildings where collections include an exhibit on the fabled Tasmanian tiger. A timber sailing ketch from 1867, diving suits and whaler’s harpoons bring Tasmania’s maritime past back to life. History seeps from the stones on Hobart’s waterfront, where colonial buildings are now galleries and where you can eat fresh seafood and watch a famous yacht race. Spend a day in this area where sandstone warehouses are now home to gourmet restaurants, trendy bars, galleries and a busy Saturday market. See rare and ancient plants, edible landscapes and exotic specimens at one of Australia's oldest public gardens. 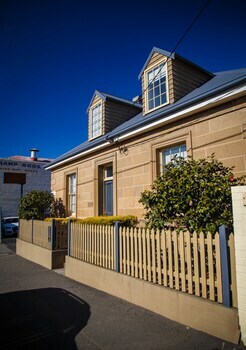 The heart of historic Hobart is a place to unwind, people watch and remember Tasmania’s colonial past. Dance, music and theatre comes alive in this historic venue, constructed in the 1830s and saved from demolition several times by prominent figures such as Laurence Olivier. 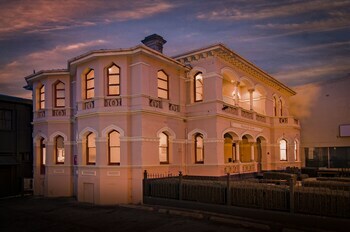 Hobart’s amateur theatre company was created in 1926 and found the perfect home within a converted church. It was lovely that the heat pump was left on for our late arrival. Great location. Very different configurations to standard accommodation. Great staff. We loved the uniqueness of the Corinda. We stayed at the Gardner’s Cottage. 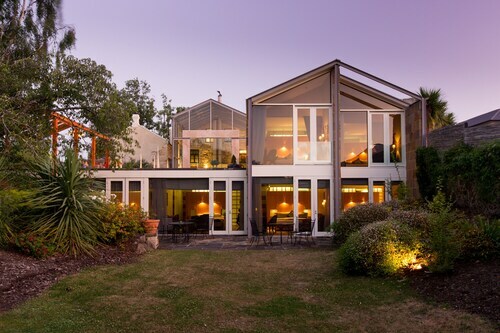 We loved the care taken with the interior restoration, the lovely garden and the spa bath. 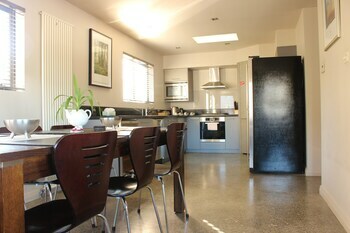 We higly recommend it for a getaway to relax and recharge.